The Border Union Show is the perfect platform to showcase your products and services. 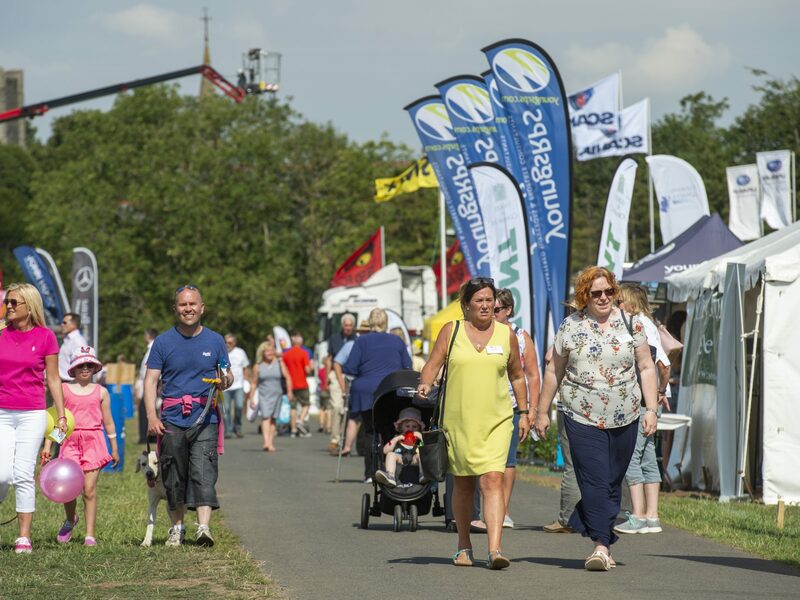 As one of the Scottish Borders largest events and welcoming over 20,000 visitors, it is the perfect event in which to align your brand. Download our Sponsorship Opportunities leaflet for more information. Promote your business to audiences across Agricultural, Aquaculture, Countryside, Food & Drink, Fishery, Forestry & Tourism Sectors from within the Scottish Borders & Northumberland region, as well as further afield. Associate your brand with this celebration of Agriculture, the Countryside and Food production. A fantastic opportunity to interact with many potential customers in one place in a very cost-effective way. …. To the 20,000 + visitors who visit the Show over the 2 days! Appropriate recognition in relevant PR material. Branding included at the Show. Product placement, if appropriate and available. Access to Members Pavilion, with private dining opportunities. An allocation of entrance tickets to the Show. An allocation of VIP car park tickets.Depending on your level of Sponsorship and requirements a package can be tailored to suit your individual needs. Alternatively, we do have fixed packages as follows.